In this webinar, part of the Plan to Plan for 2020 webinar series, Steven Romalewski provided an overview of the Mapping Hard to Count Communities site. In addition, he shared his experience working with the Census Planning Database for this and other projects. Steven Romalewski serves as Director of the CUNY Mapping Service at the Center for Urban Research, CUNY Graduate Center. The Census Planning Database pulls together small area population and socioeconomic variables relevant to public outreach and engagement. It’s available as a data file and an API. Census Bureau is developing a ROAM app for mapped presentations of the data. Webinar from January 17, 2018. 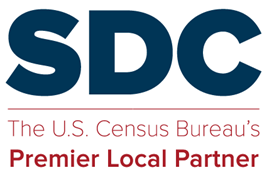 The State Data Center Program hosted a webinar, November 29, 2017, on preparing for Local Update of Census Addresses (LUCA), from the viewpoint of state and local governments participating in the review. This webinar provides an overview of the LUCA process, followed by information on identifying and preparing local address sources, using the block level housing unit counts available from Census, and tools to assist with local address file development. The presenters are Robert Scardamalia and Dale Miller. Robert Scardamalia served as New York’s Chief Demographer for over 20 years, and was a member of the SDC Steering Committee ahead of the 2000 an 2010 Censuses. Dale Miller is the Principal Planner with the Herkimer and Oneida Counties (New York) Planning Program. He has been involved with each census since 1990, and participated in his region’s LUCA review in 2000 and 2010. The complete slidedeck from November 29 can be downloaded as a PowerPoint file. Acknowledgements: The SDC Steering Committee thanks Robert Scardamalia and Dale Miller for delivering this presentation; Census Bureau for hosting the live webinar; and Minnesota State Demographic Center for repackaging this webinar as YouTube videos. This webinar is the second in a series of Plan to Plan for 2020 webinars organized by the SDC Steering Committee and hosted by the SDC Program. The Kem C. Gardner Policy Institute has produced long-term demographic and economic projections for the state of Utah and its counties. These 50-year projections extend from 2015 to 2065, and illustrate continued population growth and a range of future dynamics and structural shifts for Utah. The SDC network disseminates Census data and provides guidance, tools, technology, and expertise to local stakeholders. Data Dissemination is What We Do. Presented to ACS Data Users Conference, May 2017. Presentation slidedeck. Presented to Texas Leadership Forum 2017. The “Plan to Plan” webinar series will provide sessions on specific 2020 Census programs and operations. Numerous state-based partners are involved, and the series will discuss the possible roles of SDCs and their state networks. Webinar from December 13, 2016.